This year’s Huawei P20 series paved the way for a new era in smartphone photography in which multiple sensors became the norm. Naturally, the expectations for next year’s Huawei P30 lineup are pretty high. And if the latest tweet by tipster Evan Blass is anything to go by, the new flagship devices will certainly not disappoint. 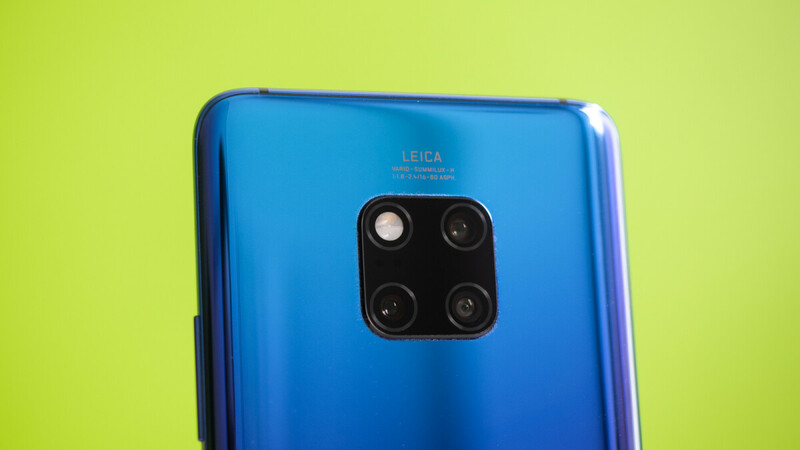 According to the information, the regular Huawei P30 will arrive with a new triple-camera setup on the rear. Much like the P20 Pro and Mate 20 Pro that were released this year, the main camera will support a maximum resolution of 40-megapixels. This helps improve the overall photo quality by combining four pixels into one, thus creating a superior 10-megapixel image. Accompanying this main sensor should be a new telephoto camera which, like previous devices, will permit an impressive 5x lossless zoom. Also expected to be present is an updated wide-angle solution rather than the monochrome sensor that Huawei has historically used on its P-series devices. Up front, a 24-megapixel camera is once again expected to be included. However, this will presumably be a brand-new sensor which means the overall image quality should be superior. Specific information regarding the Huawei P30 Pro wasn’t provided by Evan Blass. Nevertheless, if recently-leaked details are accurate, the flagship should arrive complete with an unspecified fourth rear camera. Also, the main 40-megapixel camera featured on the regular model could be replaced by a newer 38-megapixel Sony sensor on the Pro variant. No wonder USA is after Huawei. They are s**tting on everyone in phone world, 5G world, tech world etc. They are going far ahead of everyone and its starting to hurt American companies. And we all know what happens when American companies start hurting. Its time to fabricate facts to fight back, the American way. Not sure about that though , Chinese companies do cheat you know , so dont act like it's only once side doing the wrong stuff. Someone needs to stand up to China otherwise it'll be to late, there is nothing wrong with checking facts n trying to hurt them at their own game. Huawei has spent record 20bil in last 10 years on R&D. You did also read that the US government threatened to end the T-Mobile/Sprint merger unless they remove any trace of Huawei tech, right? Not at all...It's based on the US Carriers choice to distribute and sell the phone. Making this an USA issue is not the case. We have some of the worlds most powerful companies in the US. Huawei is brand value is only $10 billion in comparison to bigger portfolio's of Microsoft, Amazon, Apple...Come on now...Verizon is laughing at Huawei as Verizon and ATT are the market leaders for internet connectivity and communication in the world. Don't trust those pesky chinese. huawei is a spy network for the chinese as is all chinese companies. I will never buy anything chinese. As opposed to Google, Apple and Facebook, for You they respect the privacy of the users. Try saying a certain product in front of your phone, see the magic of Amazon links appearing everywhere you go.